Anime and Manga, Japanese comics and animation are currently all the rage among the Saudi youth who are so fascinated by them that they are keen to purchase models and stickers of popular manga and anime characters. Taking Japanese anime and manga influences and merging them with Saudi friendly sentiments is Saudi Arabian graphic designer, Njood Alkharboush who created her very own Saudi brand called Haku. The graphic artist, inspired by her love for anime, designs characters with a Khaliji edge. From that inspiration she set up her online shop, Haku, that offers up products that combine both Saudi and Japanese culture, including stickers, card games and pins. Alkharboush said, “The products imitate the Japanese Manga designed in a Saudi concept in terms of the characters and items,” and not only has she created her very own characters, she has also invented her own game based on the concept of Poker called “Kotchina”. In the game, she recreated the four representatives in the original Poker game; King, Queen, and Jacks of hearts, clubs, spades and diamonds, and transformed them into Saudi manga. Each character wears traditional Khaliji attire and is available to purchase as a sticker or a pin. Njood Alkharboush’s exclusive collection of pins include, an Arabic coffee cup held by the skeleton of a human hand, a female police car and a “Saudi skull,” a new character of the skull of a man with a long beard and Ghutra. The pins are all hand drawn and relative to Saudi-Khaliji culture, as is her brand Haku, which she launched earlier this year. 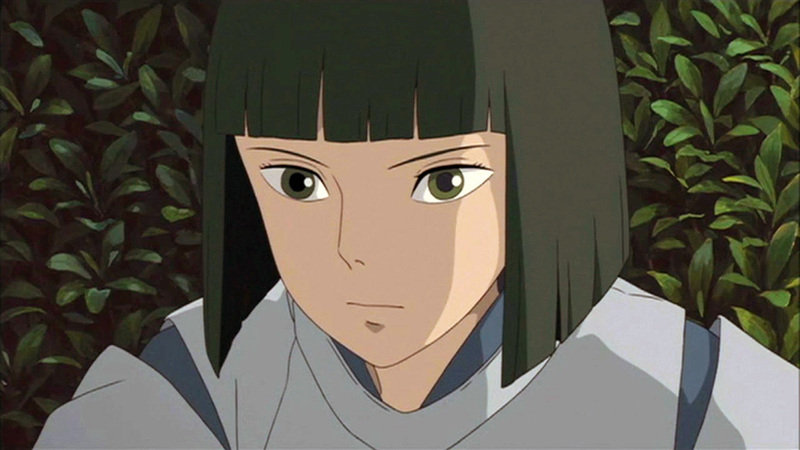 Designer Alkharboush’s Haku is derived from the name of a fictional character from a renowned 2001 Japanese movie called “Spirited Away” by Hayao Miyazaki, who just so happens to be Njood’s favorite Miyazaki character. 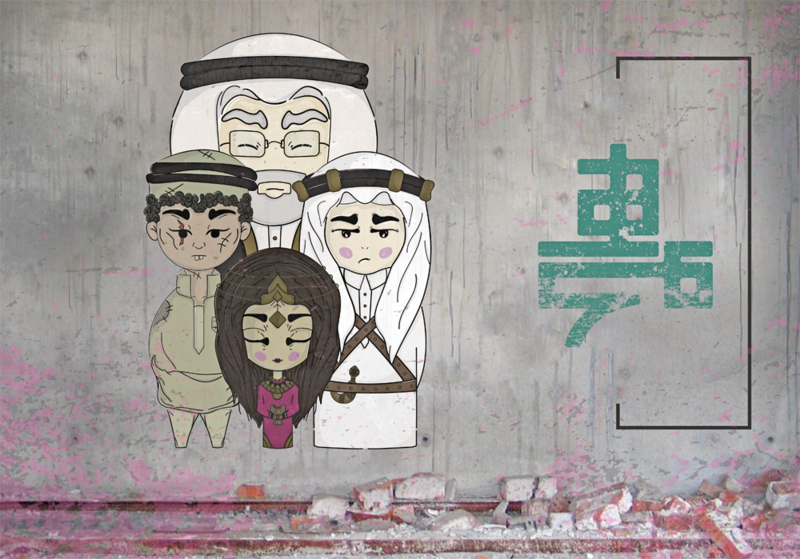 The creator of the Saudi Haku brand hopes for her work to bring the quirkiness, and joy of anime and manga to Khaliji culture, “I want all these characters to pop up in people’s way wherever they go with real knowledge of who they are, to reflect the Saudi culture, as the Japanese anime have become an integral part of modern Japanese life and culture,” she said. Alkharboush also hopes to see young creatives to follow in her footsteps and working to turn their dreams into a reality. In support of creatives such as Njood Alkharboush is Saudi company, Manga Productions, which focuses on developing animations and video games with positive content and targets both local and expat markets within the kingdom. The company hopes to launch a number of animations and games with a view to promote Saudi ideas on an international scale.